Back of the Cereal Box: More Like Lamb of Gaudiness, Am I Right? Obviously, I’m supposed to worship the lamb. Like, I think I should go door to door collecting donations so that we can make a giant gold statue of this lamb in hopes that it will use its mystical powers in our favor. That’s what God would want, otherwise he wouldn’t have made this lamb seem so cool. Because look at it! 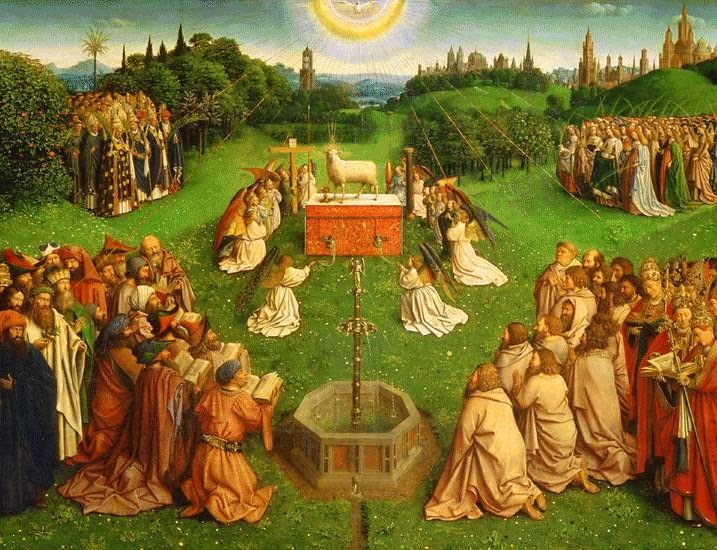 Clearly, everyone in the painting has come under the thrall of this lamb god, and they seem pretty stoked on it. Why aren’t we worshipping this kickass lamb already, people?